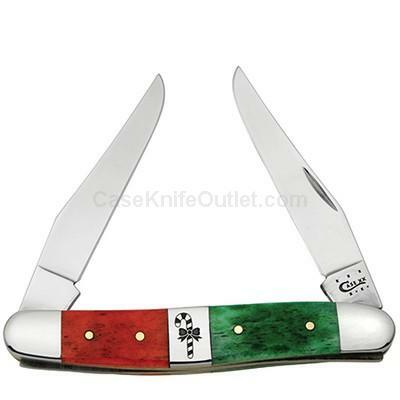 These Holiday knives have Dark Red / Bright Green Bone and an engraved candy cane center bolster. Make this Holiday Season a special one with this beautiful knife. As with all natural material color and texture may vary. Made in the USA.